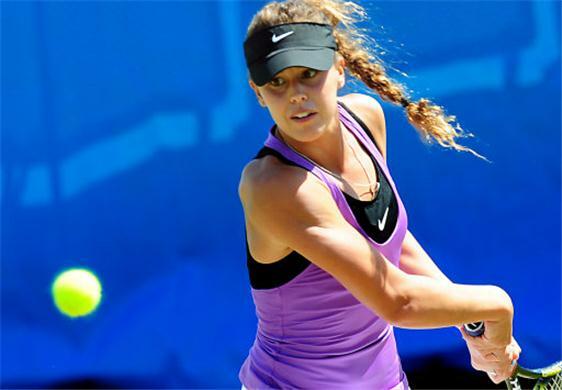 Some of the best young women's professional tennis players in the world will head to Surprise, Arizona, Feb. 18-24 for the 2013 Surprise Tennis Classic, a $25K stop on the USTA Women's Pro Circuit. Professionals just outside the top 150 WTA Tour world rankings will be vying for $25,000 in prize money and valuable rankings points in this, the now sixth consecutive year the tournament has been held at the award-winning Surprise Tennis & Racquet Complex. Main draw matches begin singles main draw matches will begin Tuesday, Feb. 19, and doubles main draw matches begin on Wednesday, Feb. 20. The singles draw is a 32 field, while the doubles field round out at 16. The singles and doubles championship finals will be held, Sunday, Feb. 24. - Senior Day, Seniors 50+ years of age pay only $1 admission. - 10 & Under Pro Am Day - where 10U kids can play with the pros on the dedicated 10 U courts at the Surprise Tennis & Racquet Complex..
A special Wildcard Opportunity Tournament for girls' 14 and over to have a shot at playing their way into the tournament is also available and will be held Jan. 31-Feb. 3. This is a great opportunity for young players to compete against some of the top players in the world, and also for fledgling pro players to maybe earn their way into a top-tier professional event. For more information on that, click HERE. Check back for more information about these fun events to be held in conjunction with the Pro Circuit event. Celebrating its 33rd anniversary, the USTA Pro Circuit serves as America's pathway to the U.S. Open and tour-level competition. USTA Pro Circuit graduates have accounted for more than 50 Grand Slam singles titles and, overall, 14 Pro Circuit veterans have risen to No. 1 in the world. That list includes Americans Pete Sampras, Lindsay Davenport, Andre Agassi, Jim Courier and Andy Roddick. For additional information on this tournament or any events or programs at the Surprise Tennis and Racquet Complex, please contact Guillermo Lucero at guillermo.lucero@surpriseaz.gov or call 623.222.2400.